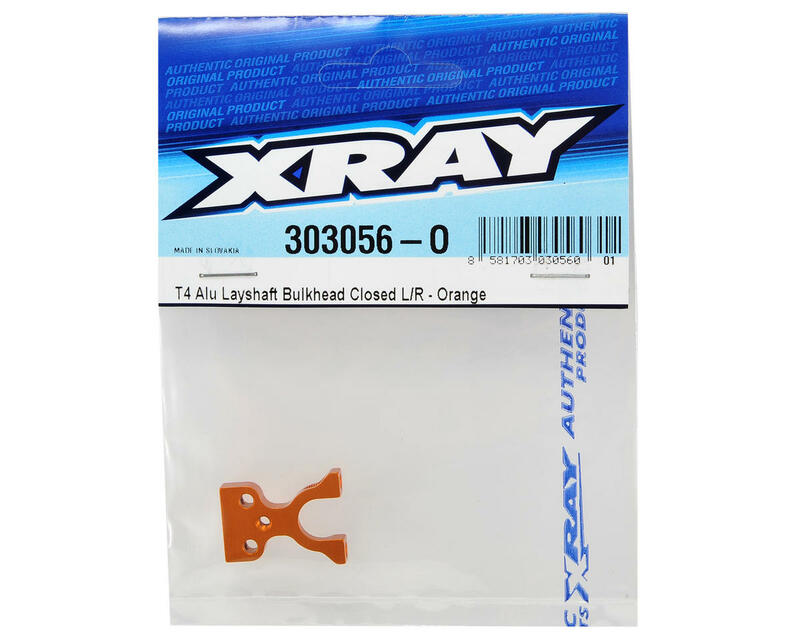 This is an optional XRAY Aluminum Layshaft Closed Bulkhead. 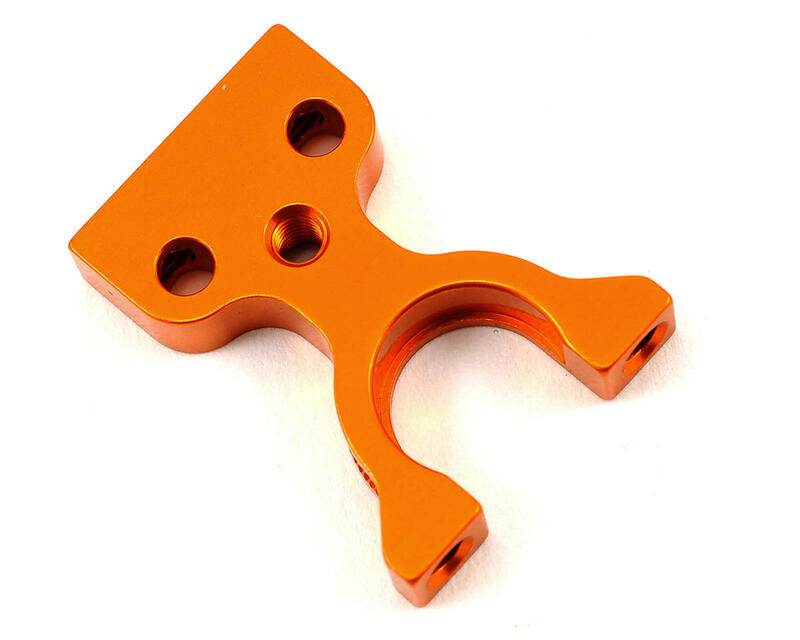 This CNC-machined layshaft bulkhead is made from premium Swiss 7075-T6 aluminum. This bulkhead allows the removal of front or rear or both screws which connect the top deck to the layshaft bulkheads to provide more chassis flex. Recommended for low or very-high traction tracks.